Second Annual Brush Fist And Steel Weekend – N.E.M.A.D. 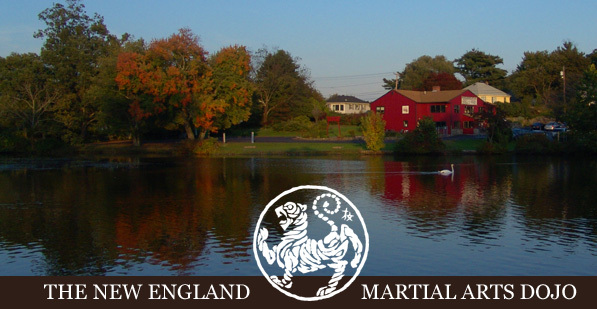 Brush fist and steel is back for another incredible weekend at The New England Martial Arts Dojo in Seekonk Massachusetts! Each time we host an event, it just grows and grows! This event is geared towards both beginner and advanced practitioners alike in all arts. Even if you have no experience in any martial arts, this seminar is a fantastic way to give it a try with our beginners prep classes free with payment. These classes give you basic instruction in all the arts taught at this years Brush, Fist and Steel! Here is the list of whats going on! 10 am to 4pm Kosho Ryu Kempo with Sensei Jeff Driscoll. The art of Kosho Ryu Kempo is a very unique form of self defense. It is based on Concepts and Principals not just techniques. The student not only learns techniques in which they practice to defend oneself…they also learn the concepts and principles which make those techniques work properly. What’s addicting about Kosho Ryu is once you learn beginner concepts the doors open up for more concepts and principals which relate with the ones you previously learned! It’s a lifetime of study and can be started at any age and and level. Several arts of Kosho Ryu Kempo will be taught including, Striking, Throwing , Joint locks and of course Kosho’s primary art, escaping for self defense! Beginners are highly encoraged to come train in this incredible day of training! For more info on Kosho Ryu Kempo please check out our Kempo arts page here. Japanese Swordsmanship with Sensei Jeff Driscoll. The ancient Samurai arts of the sword are still alive and practiced in today’s dojos. Come train with us in the Samurai arts of Muso Jikiden Eishin Ryu Iaijutsu and Kenjutsu. Sword arts are a fantastic way to start out in martial arts, most folks think that experience is needed to practice these arts, however this is not true. One also does not need to be in optimal shape to practice these arts and it’s great way for individuals to start their journey in budo if they feel they are not in the best of shape physically and mentally. The Modern day applications of these arts involve controlled, precise movements in which practitioners develop oneself and personal fulfillment. Sword arts can train one to be mindful constantly through learning, which is an essential part of life. It is easy to use these skills in the rest of our daily activities. Not to mention it’s a lot of fun! Iaijutsu is the art of drawing the sword while Kenjutsu is the art of the sword once the sword has been drawn. NO equipment is necessary, our dojo has practice swords for lend and will have some for purchase if requested. All metal blades owned by club members are practice blades and are not sharpened. NO live blades with be allowed on the dojo floor for safety considerations. For more info of these arts please check out our sword arts page here. 10am to 4pm Japanese calligraphy: Shodo and Sumi-e with Sensei Cindy Jutras. In the Japanese art of Shodo the practitioner learns to create Kanji, which are pictorial ideographs representing ideas of the Japanese (and Chinese) mind. This system of written language differs from the largely phonetically written languages in the rest of the world. The study includes the discipline of proper stroke orders, proper formation of strokes and spatial relationships between strokes. In addition, due to the pictorial nature of kanji, there are other benefits. Students will learn to be visually skilled and to develop imaginative insights into their work. A one-kanji work can be hung on the wall and pondered forever. When a Kosho Ryu student studies and understands kanji, he becomes a visionary. A picture truly is worth a thousand words. The student learns to go beyond what is taught. To study. To seek. Kempo, the philosophy of study, and the art of the brush are one and the same. The art of Sumi-e will also be introduced It’s one of the art forms in which subjects are painted with black ink in all possible gradations ranging pure black to the lightest shades achievable by dissolving ink in water. Simple and elegant landscapes and images are taught with ancient brush techniques and strokes. For more info on this beautiful art please see our page here. Tuition: Pre-register Training!! Register now to receive free seminar prep classes!! The sooner you register the more training you can get in! Beginners as well practitioners of other arts are all welcome!